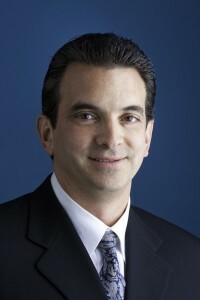 Richard Cricchio's office, Help-U-Sell Honolulu Properties, finished the month and the year as the company's top producer. The year wrapped up with shining results for many of our offices. 1) Help-U-Sell Honolulu Properties said goodbye to 2014 with 18 closed sides, composed of two buyer, 14 seller, and one dual-sided transaction. 2) Help-U-Sell Direct Savings Real Estate, in Waynesboro, Va., completed a lucky 13 sides. Three buyer sides, six seller sides, and one dual-sided transaction made up the baker’s dozen. 3) Charlotte-based Help-U-Sell Buy Today came in third with 11 sides: three buyer and eight seller. 4) Rounding out the top producers for December, Help-U-Sell Hometown Realty, out of York, Pa., had two buyer sides, four seller sides, and two dual-sided transactions for a total of 10 closed sides. We also want to call out two of our offices that helped their clients sell homes for more than $1 million: Help-U-Sell Honolulu Properties and Help-U-Sell Westside Realty, in Los Angeles. Nationwide in 2014, our offices saved their sellers more than $19 million in commissions (as compared to a 6% commission). We are pleased to announce our top five offices for the entire year, two of which were the top 2 in December. Why isn’t there a link to Richard’s site in your press release – “Top Offices 2014” ? I don’t know who Direct Savings is, but I see the BOTTOM 3 have their names hyper linked. Maybe two hyperlinks in one article is too much to ask? I guess we just have to figure out to look up after we’ve looked down. Good job, KENDRAGREMMA. Thank you for your passionate interest in our blog. It is our style to use a hyperlink only one first reference in a post. However, this is an unusual case with two lists, so it does make sense to make an exception. Help-U-Sell Honolulu Properties and Direct Savings Real Estate now have links in the Top Offices for 2014 list.